Come join the Boston area crafting community for the 7th annual Ignite Craft Boston. 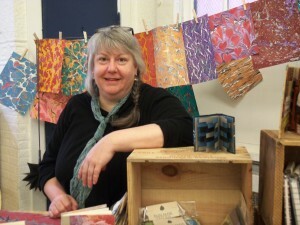 Cristina Hajosy will be talking about Contemporary Paper Marbling, along with a dozen presenters on topics including fiber arts, paper arts, Nantucket baskets, and the culinary arts. Another night of great inspiration, cool company, and new stories from makers in Boston, Cambridge, Somerville, and environs. The Ignite motto is “Enlighten us, but make it quick,” so each speaker has 20 photos or other visuals that automatically advance every 15 seconds, totaling 5 minutes. It’s Free – but, please register.